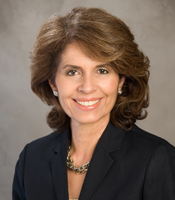 Laura M. Menchero is an accomplished Miami immigration law attorney with over 25 years of legal experience. She prides herself on consistently providing high-quality legal representation and having an outstanding record of providing solutions and achieving client objectives. Ms. Menchero earned her law degree from the George Washington University Law School in Washington, D.C. in 1984. She began her law career in Washington, D.C. working as an attorney with a major U.S. law firm and then with the United States federal government. In Washington, D.C., she focused on commercial litigation in the District of Columbia, and on federal banking enforcement litigation throughout the United States. Ms. Menchero brings to her Miami immigration law practice her experience working on complex and sophisticated business and commercial litigation cases. This gives her a unique perspective for analyzing her clients’ cases and providing individualized, thorough, experienced representation and achieving client objectives. Laura M. Menchero has a full-service immigration law practice. She represents a wide range of clients in all aspects of immigration law with a particular emphasis on representing mid-sized privately-owned foreign companies, U.S. businesses, and individuals and families. The firm’s practice areas include business, investor, and employment based petitions and visas, such as L-1’s, E-2’s, O-1’s and H-1B’s; permanent residency (“Green Card”); labor certification; family-based immigration; fiancé(e) petitions and visas; waivers; naturalization and citizenship; asylum, removal/deportation defense; and appeals, motions and other litigation matters before the Board of Immigration Appeals, the Administrative Appeals Office and in Federal Court. Laura M. Menchero was born in Holguin, Cuba and was raised in the United States, in Denver, Colorado. She has been living and practicing law in Miami, Florida since 1991. She is fluent in English and Spanish, and is proficient in French.